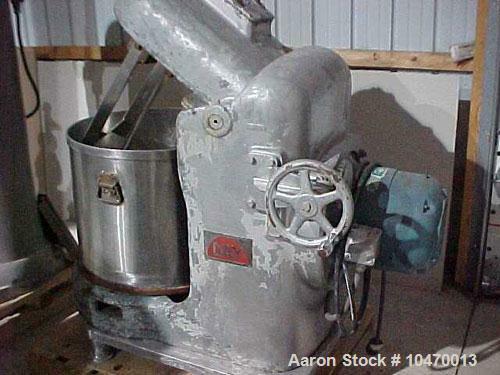 Used-Day Pony Mixer. 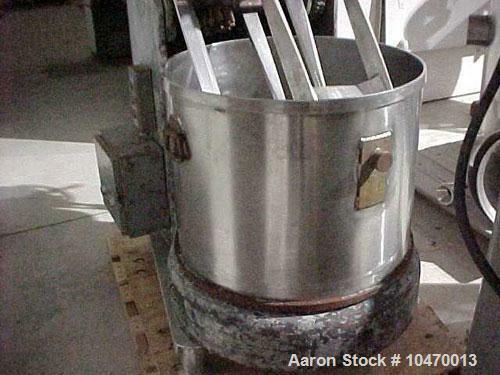 40 Gallon mixing tub, stainless steel, 2 speed motor. Tub is 21-1/2" high, 27-1/2 ID (7.38 cubic feet full). 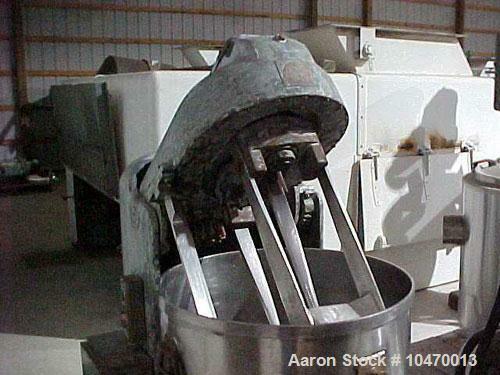 (3) Center mixing blades 2" x 18 long x 1/2" thick, (2) blades that are close to the side of the tub same size. 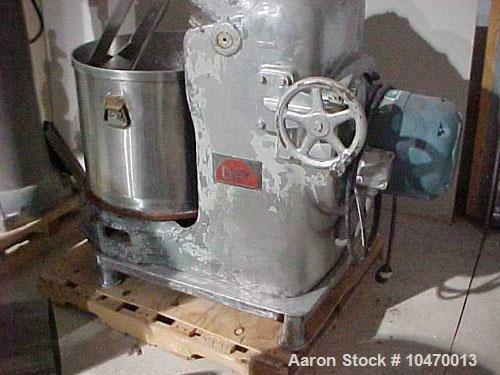 Drive is 2 speed motor 5 hp at 1725 rpm and 860 rpm at 2-1/2 hp, 3/60/220 volts, plug in cord. Mixing blades tilt out of tub via manual hand crank. Overall: 50" high, 5' long, 42" wide.